Locked and loaded. The unique turn lock on this bag brings extra security and the three carrying options make it versitale for day to night wear. 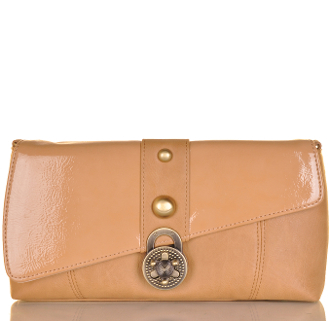 Walk the city with a cross body bag and have a clutch for dinner that night. The Ryder is great for everyday and travel. ASHARD RICHLEY’s Ryder is available in Tan.